Congratulations! We are so proud of our wonderful students of the Classic Motor Museum (CMM) Student Chapter of the Antique Automobile Club of America (AACA)! Chartered February, 2018 at the AACA annual meeting in Philadelphia, they received their official AACA charter from their sponsoring club, the Bay Country Region (BCR), AACA, May 16, 2018, at the Easton Diner in Easton, Maryland. Pictured are (l-r) Matt Dunn, CMM Student Chapter President; Lee Caplan, BCR Director; Cooper Gowe, CMM Student Chapter member; Noah Fountain, Student Chapter Vice President; and Ed Nabb, BCR President. 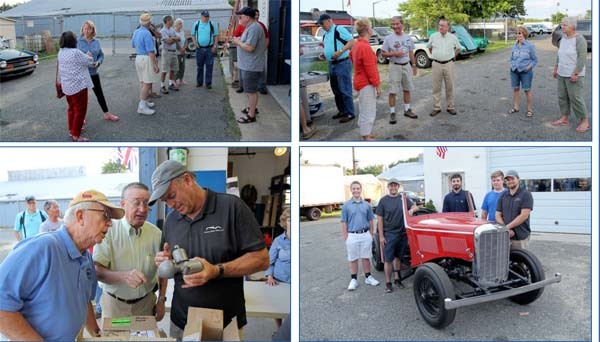 As part of its mission to educate the youth of our community in the art of automotive restoration, the Classic Motor Museum continues work on the Alvis project. Through the extraordinary generosity of a great friend to the museum, a 1938 Alvis SB13.22 drophead was purchased, and the restoration firm of Coventry Motor Works of Easton, Maryland, was retained. 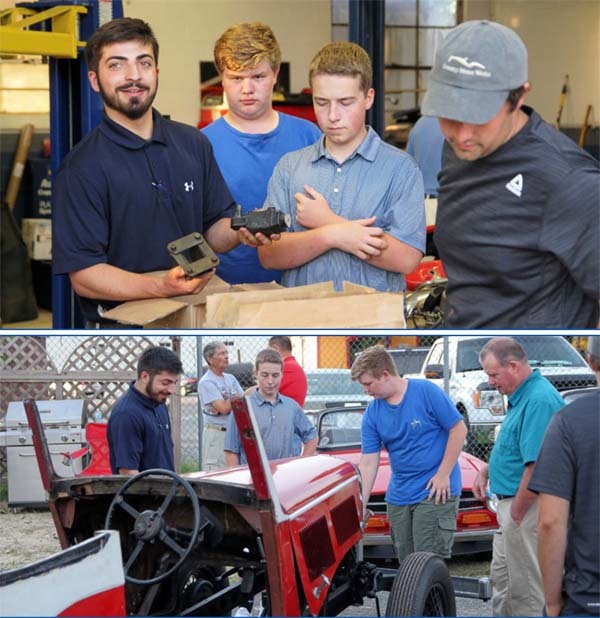 The museum is committed to the principle of education as the means to change the lives of the youth of the Eastern Shore, and this project will involve the Classic Motor Museum Student Chapter of the Antique Automobile Club of America. There will be hands-on experience with the Alvis and classroom education at the museum itself. Sandy Thomson, owner of Coventry Motor Works, is likewise committed to education, and will contribute a portion of his time to the project. Sandy’s sons, Rob, Jonathan, and Scott are also involved with Coventry, and will be mentors to the students in the museum’s Student Chapter. Rob will be the Project Manager and liaison for the students and others interested in being a part of this fulfilling restoration project. With only 154 1938 Alvis SB13.22 dropheads made, and only 3 known to be in the United States, this is a rare car and will be a challenge worthy of all the talent involved. 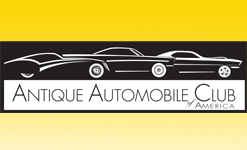 The object is to create a concours restoration, so our students will get the rare opportunity to see and do great work. A restoration reboot celebration was held at Coventry Motor Works on June 8, 2018, and that is where and when these photos were taken. Student Chapter members present were Rob, Jonathan, and Scott Thomson; Matt Dunn; Noah Fountain; and Cooper Gowe. Cooper’s father, Danny, attended with him. BCR members present were Jim and Darlene Newcomb, Cathy Prouse, Jim Golden, Lee and Windy Caplan, Charles Emery, and Carl Doll. Easton High School Auto Technology Program Instructor, Brian Willey was also on hand as he has taught four of the six students who were present. The Classic Motor Museum was represented by JoAnn McQuay, Linda King, and George Hatcher. Sandy Thomson, and his wife, Jo Anne, hosted the event. As they say, a great time was had by all, and there was tremendous enthusiasm, optimism, and willingness to help. A parts “unboxing” was held and the business of evaluating the current state of the Alvis has begun. The first step is to determine how much of the car is present and how much will have to be obtained. A great deal of research will be necessary as this is a rare automobile, which will give the students a chance to be real investigators as well as restorers. Stay tuned for more information and progress reports. Visit the Student Chapter's Facebook page.